The most feared phenomenon throughout the Caribbean Sea has arrived at PortAventura Caribe Aquatic Park: Ciclón Tropical! 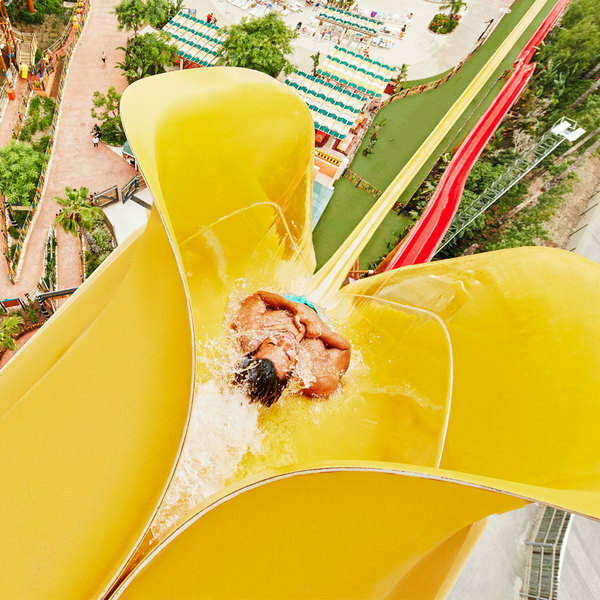 Brave PortAventura’s new attraction, zipping down this multi-bump slide that stretches for more than 100 metres and challenge your family and friends in a fun and refreshing aquatic experience. 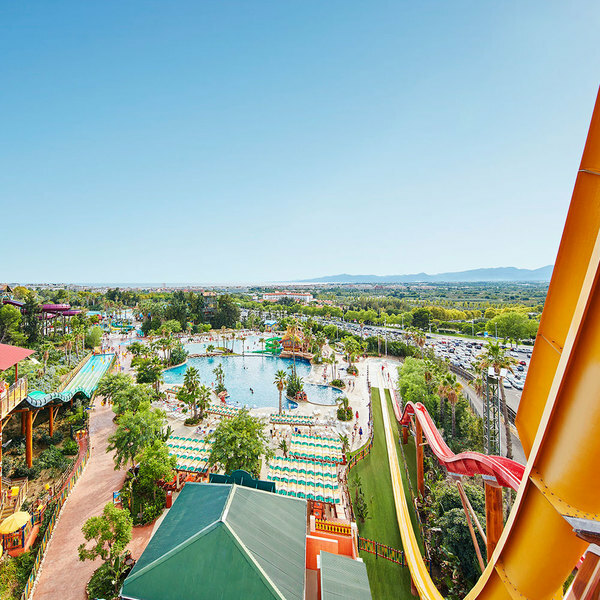 Discover PortAventura Resort’s new water attraction located right next to King Khajuna, Europe’s highest free fall water slide. Do you know how high Ciclón Tropical is? Ciclón Tropical stands at a height of 19.64 metres and provides a less intense, but equally fun, experience than King Khajuna. 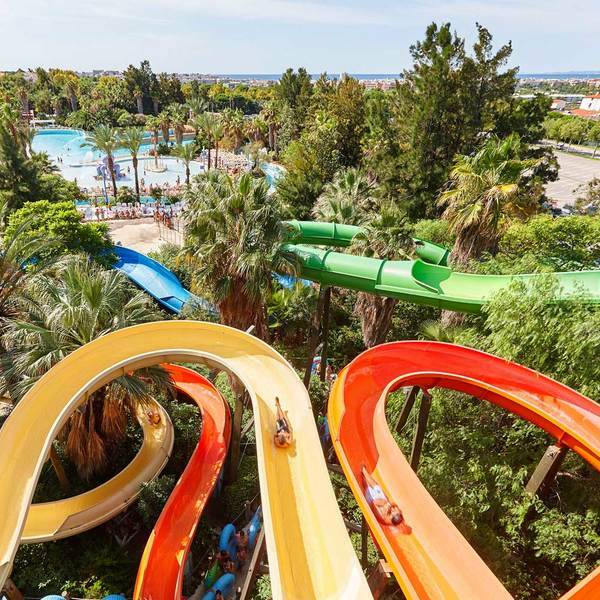 It offers an undulating route more than 100 metres long with two sudden drops to challenge yourself before taking on the highest waterslide in Europe. Take on a free fall from a height of 31 metres with a dizzying 55-degree descent. 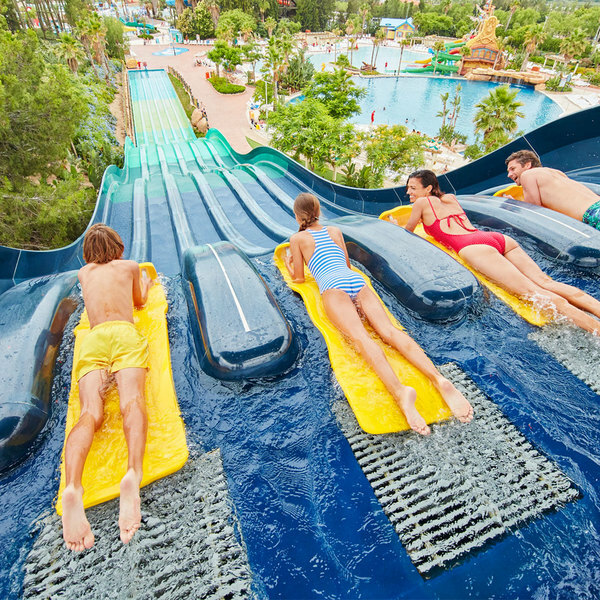 Be amazed by the star attraction of PortAventura Caribe Aquatic Park., which reaches speeds of 6 metres per second.